Are you unhappy with the results of your workouts? 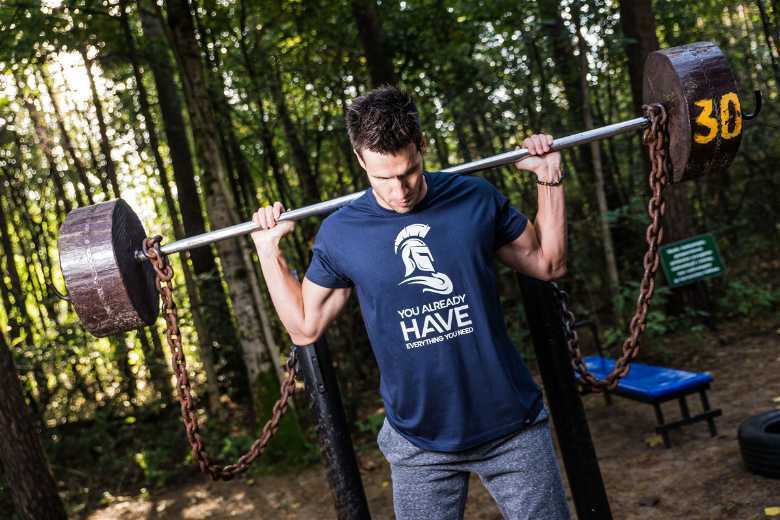 Perhaps you’ve been pumping iron for weeks now and have little to show for it? It’s likely due to a lack of pre-workout nutrition. What you need is something like 4 Gauge Pre Workout to boost your energy and nutrition. 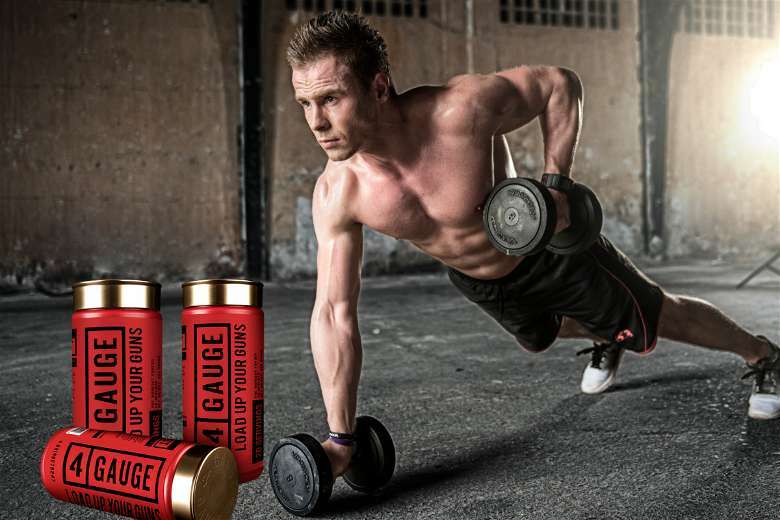 Since this isn’t the only pre-workout supplement available, let’s take a closer look at 4 Gauge to see if it is as good as advertised on their website. What is a Pre Workout for? Pre-workout nutrition provides your body with the fuel necessary to do intense workouts. You may already know that warm-ups are essential before working out. However, you also need pre-workout supplements so you can be more focused and do your workouts properly. That’s where 4 Gauge can make a difference. It has been rigorously tested to ensure your body is firing on all cylinders when you work out. This product is formulated by professionals so you can push yourself and do more workouts. A lot of pre-workouts also make this claim, but few can deliver. This 4 Gauge Pre Workout review will show, this is one product that actually does it, drastically improving the results of your workout. Just as you won’t get the full benefits if you don’t do warm ups, your body will also suffer and won’t get the results you’re looking for without proper nutrition and supplementation. 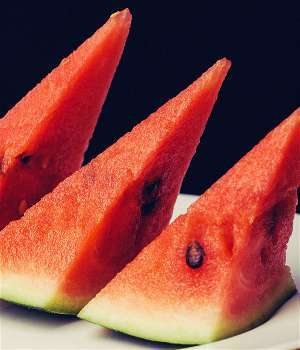 This is obtained from watermelons and works as a natural vasodilator, giving you extra muscle pumps so you’ll feel and look better. With regular use, you’ll get more pumps compared to regular workouts alone. 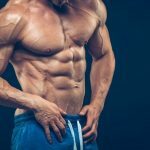 Your body turns citrulline into L-arginine, an amino acid that enhances your nitric oxide levels. High nitric oxide levels dilate your blood vessels, so more blood flows in your muscles. An increase of citrulline pre-workout also increases hormones and muscle development. We have put these two together they’re complementary. Caffeine is a stimulant that gives increases alertness and serves as an energy booster. L- theanine is an amino acid extracted from green tea leaves which provides control, calmness and extra focus. When used with caffeine, the two become a nootropic, boosting your brain capacity. Caffeine is a powerful stimulant, but if you consume too much, it could produce unwelcome side effects. That is what L-theanine is for, to ensure the caffeine level is always tolerable. These 4 gauge pre-workout ingredients also increase the amount of the GABA neurotransmitter in your brain. GABA has a calming effect, and L-Theanine eliminates the unpleasant side effects of caffeine so you will be focused and alert. You’ll find it easier to focus and have more energy without losing control of feeling jittery. The beneficial effects also last a long time for more heavy workouts. Rhodiola Rosea is a natural herb that builds up your body’s physical and mental resistance. While mainly used for workouts, the herb also increases your body’s resistance to depression and fatigue while enhancing cognition. Rhodiola Rosea is above everything else a motivation booster so you’ll have more energy working out. Red Beet is a nitric oxide enhancer which is used to enhance physical performance. 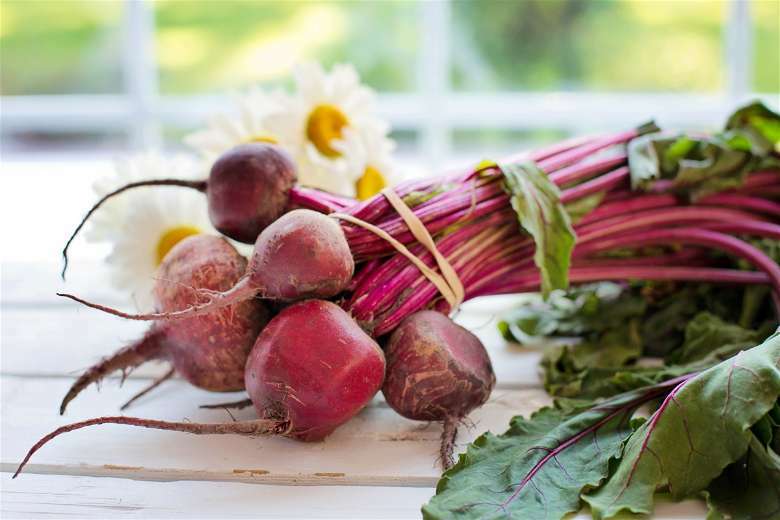 Red Beet boosts performance by up to 42% and plasma nitrate by more than 50%. This level of improvement is something only a few herbs can do. This is rich in nutrients and lowers blood pressure. It also restores electrolytes and restores hydration. This is an amino acid which prevents muscle damage, fatigue, and fat reduction. Creatine monohydrate is a performance enhancer and strengthens your immune system. The ingredient listing above should give you some idea what this supplement can do. But what really sets this apart from the rest is how well the ingredients complement one another. By taking this before each workout you’re going to get the most out of each workout and maximize the results. Even if you work out 4 to 5 times a week, you won’t get the optimum results unless you’ve got the right pre-workout supplements. What 4 Gauge does is boost your central nervous system so you can do more workouts with higher power and endurance than before. Each ingredient has been specially prepared so you get pumps and significant gains in size. The best workout supplements often focus on the physical elements, but the 4 Gauge also emphasizes improving mental strength. This is one of the highlights of this pre-workout supplement because without focus it’s difficult to do any kind of workout. 1. No artificial sweeteners: this supplement does not contain any artificial ingredients that might weaken the formula. 2. No jittery effects: as was explained earlier the caffeine element is just right it does not slow you down. 3. More explosive power: you will feel the difference when you start working out. The power, the lift, the strength and so on. None of this is going to happen overnight but it will. 4. 4 in 1 formula: this supplement works on multiple levels, boosting raw strength, adding more muscle pumps, provides more focus and energy. 5. Fast results: this supplement needs just a couple of weeks before it creates an impact, whereas other top pre workout supplements take longer. 6. 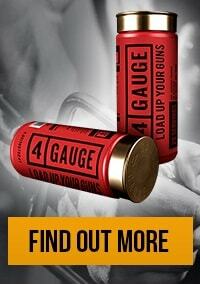 For men and women: while most pre-workout supplements are for men, the 4 Gauge is also suitable for women. This supplement is also one of the most versatile available today. For fitness buffs, this is exactly what you need to have that extra energy boost so you can keep going. At the same time, it’s for anyone who wants to get better results without doing more workouts than necessary. With all these benefits you’ll see faster progress. For beginners and other fitness enthusiasts, it usually doesn’t take long before reach your limits. With this supplement, you’ll get the three essentials: strength, muscle endurance, and growth. When you combine the supplement with a healthy diet and workout, it’s going to lead to a healthier, better physique. You’re going to end up with a muscular, lean physique, and one that’s ripped. 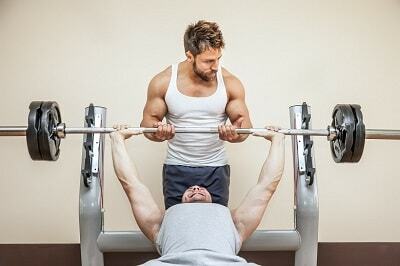 What makes this one of the best pre workout for men is the amount of energy you get. Remember those days when it just takes a lot of effort to even go out to the gym? With this supplement, you’ll feel energized and have the power to do longer and extended workouts. Bottom line: a lot of pre-workout supplements make claims about what they can do, but not all of them provide what they promise. In the case of Gauge 4, it lives up to the hype and gives you what you need. This supplement was prepared by health experts, nutritionists and fitness buffs specifically for use in pre-workouts. You may have come across these ingredients in other supplements, but they were not put together in this manner. The supplement works on several fronts, but the effects are felt at the same time. 1. As your body absorbs the ingredients, the nutrients make their way into your blood, stimulating muscle growth and building endurance. The ingredients also strengthen the connection between your body and brain so you can lift heavier weights. 2. The positive effect is not limited to your ability to lift weight. It also leads to greater cognition and focus. Your body’s alertness level goes up, so you’re honed in on your workout. 3. As your body absorbs more of the nutrients, stamina and endurance increases. The increase is not sudden, but it doesn’t take too long either. However, you will notice the difference as you don’t tire easily and you won’t be running out of breath as easily as before. 4. As pre workout reviews have indicated, this supplement pumps up a lot of blood in your cells and tissues, promoting muscle growth. Your muscles not only get larger but harder too. The mental and physical benefits that this product provides makes a huge impact on how you work. Are you having trouble staying motivated? 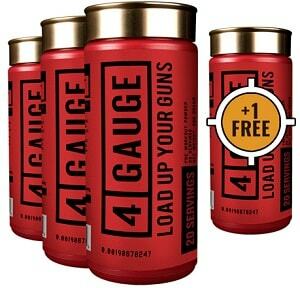 4 Gauge offers that energy boost so you’ll be immersed in what you’re doing. It will no longer feel like your head is out of it, and you’ll have the energy to work out even if you’ve got a full schedule. If you have been working out for a while, you’ve probably tried some pre-workout supplements before. One of the problems with most pre-workout supplements is they rely on their brand name without delivering on their promise. Another thing you’ll notice with other pre-workouts is they have patented ingredients that actually do more harm than good. The idea of a company using “unique” ingredients may seem like a good idea, but it’s not because there is no telling what the elements are. How will you know if the ingredients are safe or if they’re dangerous? 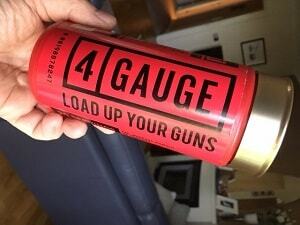 With 4 Gauge you know precisely what you’re getting. You can research the ingredients and judge if it is good for you or not. As we have explained here, all of these have been proven to work as far as muscle buildup is concerned. Is This Pre Workout Supplement for You? This pump pre-workout is for anyone who wants to maximum results when exercising. If you answer yes to any of these, then this supplement is for you. When taken accordingly you’re going to feel the difference as you’ll last longer during your workouts. Man or woman you’re going to find this useful. However, we need to point out that this supplement will not perform miracles. 4 Gauge does not work that way, and you still need to do workouts to get the results you’re looking for. This is not a substitute for not working out. If you put in the time and effort to get muscles, then you won’t be disappointed. This supplement is also for those who need a cognitive enhancer, one that boosts motivation and mood. You can think of the supplement as something that triggers motivating and energy. This is also for those who are willing to push themselves to the limit. If you want to work out, your muscles will need extra energy to keep up. Do you want to do more workouts? This supplement helps because you’ll be able to lift more. The way it builds up endurance is beneficial to athletes and if you’re training for competition. The effect may not be apparent, but it’s going to cut seconds from your best time. This is also for anyone who needs to change things up or do more workouts. To get the most out of this supplement, take two scoops of this product half an hour before working out. With this creatine pre-workout, you’ll “get in the mood” to work out and lift weights. There’s no need to take more than two scoops. In just a couple of weeks, you’re going to realize that this is for long term. You’ll get benefits in the short term true, but it’s also got a lot of long-term advantages, so you get maximum benefits. As your energy increases, you’ll get obtain the results you’re looking for. This pre-workout supplement contains only natural ingredients, and it has been thoroughly tested to ensure it only provides the best results when you work out. However, you have to make sure you follow the instructions on how to consume it. 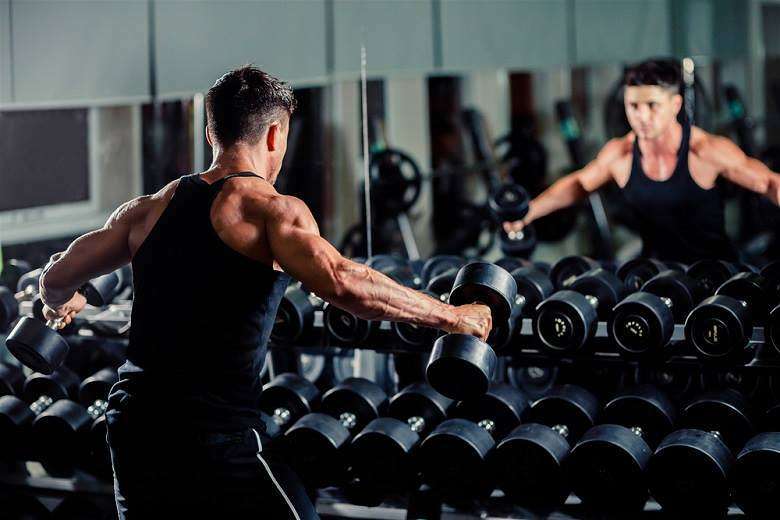 Where Can You Purchase Original 4 Gauge Supplement? If you are serious with your workouts you will definitely need a lot of good pre workout. 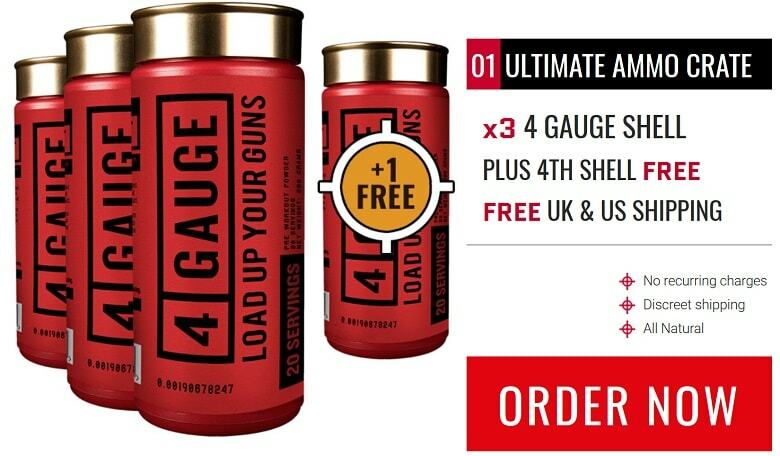 Therefore I highly recommend the Ultimate Ammo Crate option where you 4 bottes for the price of 3 plus free US & Uk shipping. Once you have decided what to order you can pay via PayPal. Keep in mind the 4 Gauge Pre Workout price may change so check the website first before placing an order. Regardless which you order, there won’t be any hidden charges. There is no auto shipping, and there won’t be any charges that recur monthly. You only have to pay for what you ordered. Q: What does 4 Gauge taste? A: 4 Gauge is similar to other protein powders, but it’s not as bland, and the texture is smoother. It is a lot better compared to the usual stuff you get with other protein powders that make them difficult to drink. Q: Can you drink this every day? A: For the best results, you should take it for 6 to 8 weeks and then take a week off. This is similar to what you do with steroids. There is technically nothing wrong with taking this very day. However, the one week off ensures you will always remain sensitive to it. The same also holds true for workouts, as it won’t hurt to give your body a short break. Q: When should I take 4 Gauge? A: Usually t is 30 minutes before working out. However, this isn’t cut and dried as it can be 15 or 45 minutes. It depends on your body, and you’ll get used to it. Q: How many flavors does it have? Q: How long does the effect last? A: The effect is good for 2 to 4 hours so you’ll have plenty of energy when you work out. What you take before working out is just as important as you consume afterward, as it’s necessary you get your body prepared. With 4 Gauge Pre Workout, you’ve got the complete supplement for men and women who want to get the most out of each routine. I give this my highest recommendation.